The race is on to find the true Garden of Eden, as a ruthless Russian billionaire, dying of a rare disease, will stop at nothing to find the Tree of Life and its alleged healing oils. 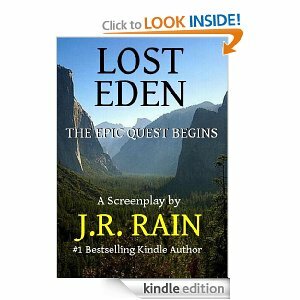 Written in the tradition of Indiana Jones and The Mummy, Lost Eden is an epic adventure story about the search for the greatest archaeological discovery of all time: The Garden of Eden. Si vous aimez les histoires à la Indiana Jones ou genre Tomb Raider avec Lara Croft(Angelina Jolie) voilà le genre de lecture qui vous plaira.